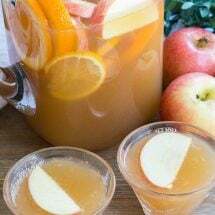 Apple Cider Ginger Punch is a delicious combination of apple cider, ginger ale & lemon for an easy party punch the whole family loves! The holidays are full of parties, friends, family, and at my house food! From big dinners to cocktail parties with appetizers and drinks, there’s always a reason to enjoy the flavors of the season. 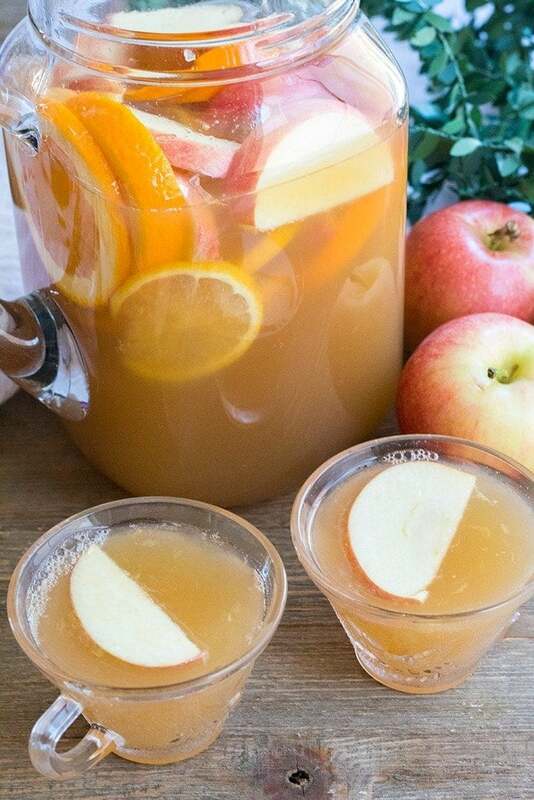 This Apple Cider Ginger Punch is one of my favorite party punches anytime of year! While it pairs well with baking spices and all my favorite Thanksgiving and Christmas dishes, it’s bright and sweet for a punch you can serve at pool parties and Easter too! This punch starts simply with good apple cider (the cloudy stuff), ginger ale, and a splash of lemon juice to brighten things up and bring it all together. 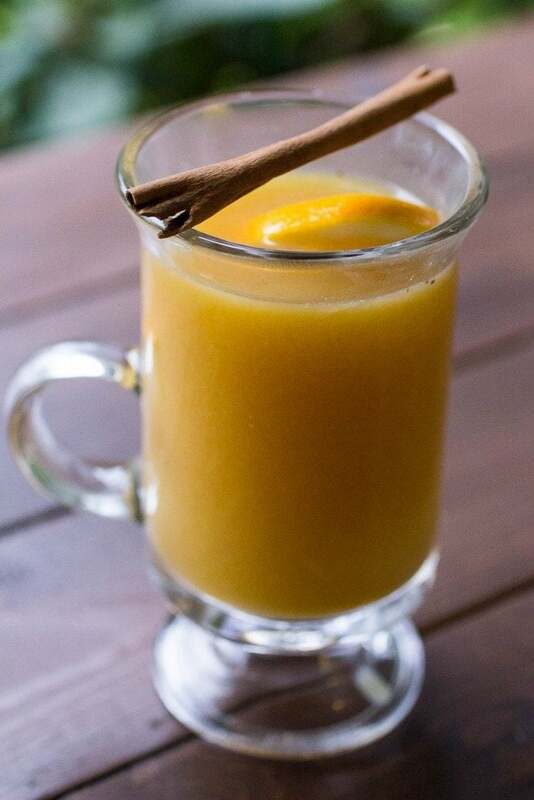 Pour that all in with fresh apple, orange, and lemon slices and a couple cinnamon sticks and you’ve got a punch everyone will want the recipe for. Now if you want to make this drink for adults only, you can add a cup of good whiskey or bourbon. Vodka would work well too, but the whiskey really deepens the flavor of the punch and goes great with apple & ginger. If you can let this punch sit for a bit the punch gets even better, but you can serve it right away too! Core apple and cut into thin slices. Cut orange and lemon into thin slices, creating wheels, discard ends. 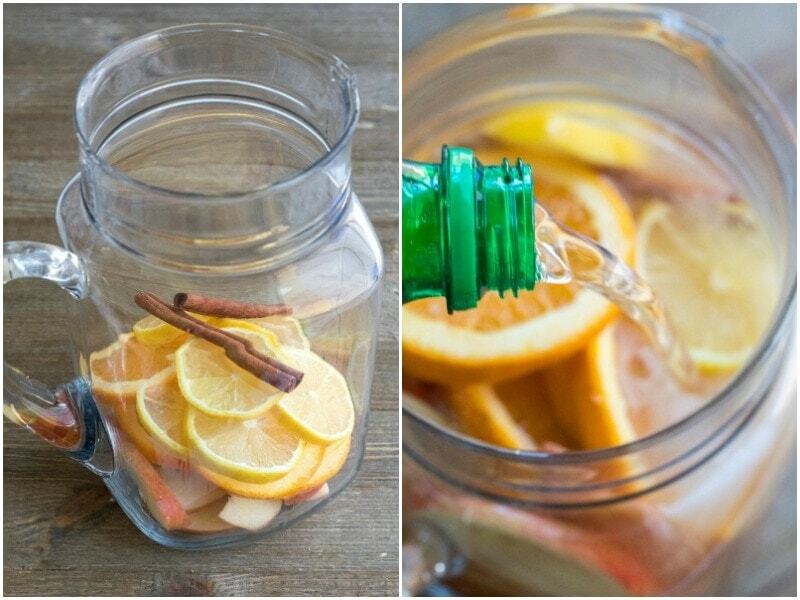 Add the fruit and cinnamon sticks to a 2.5-quart pitcher. 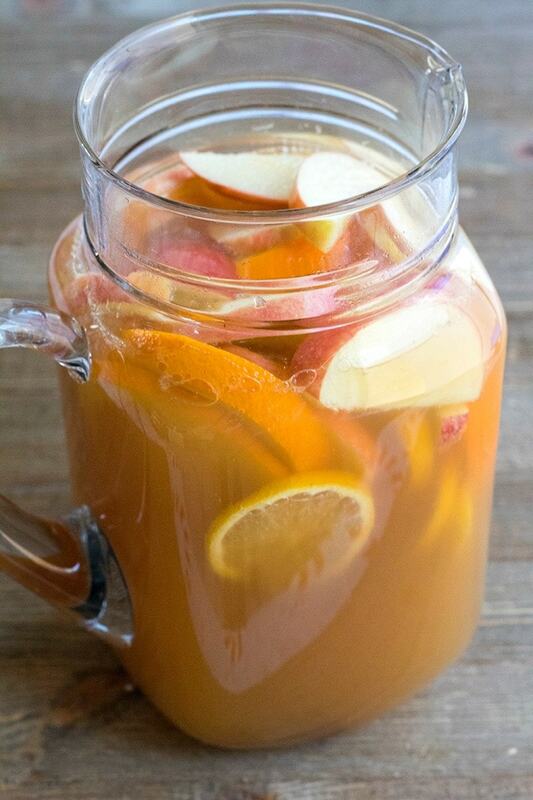 Pour lemon juice, apple cider, and ginger ale into the pitcher. Add whiskey if desired. Give the punch a quick stir to combine everything. Refrigerate for at least 1 hour to let everything marry together. If you're in a hurry, you can serve the punch immediately, but it gets better if it sits for a bit. I made this for our Thanksgiving dinner yesterday. Big hit! Hi Tish, Thank you for sharing your feedback!